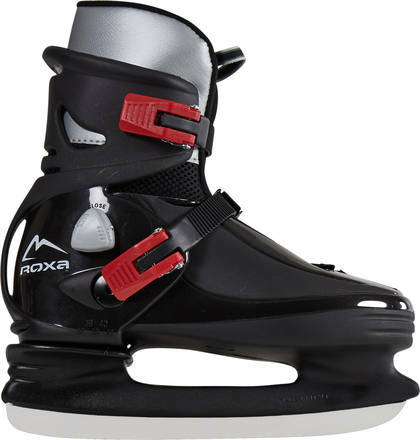 Sturdy and size adjustable ice skates for kids. 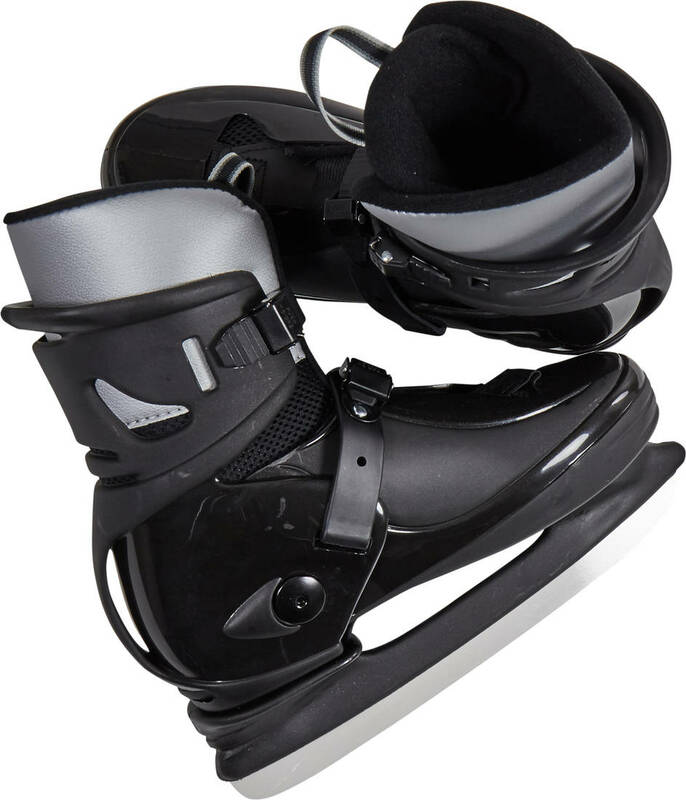 The innerboot is made of adjustable double-density foam providing good comfort. 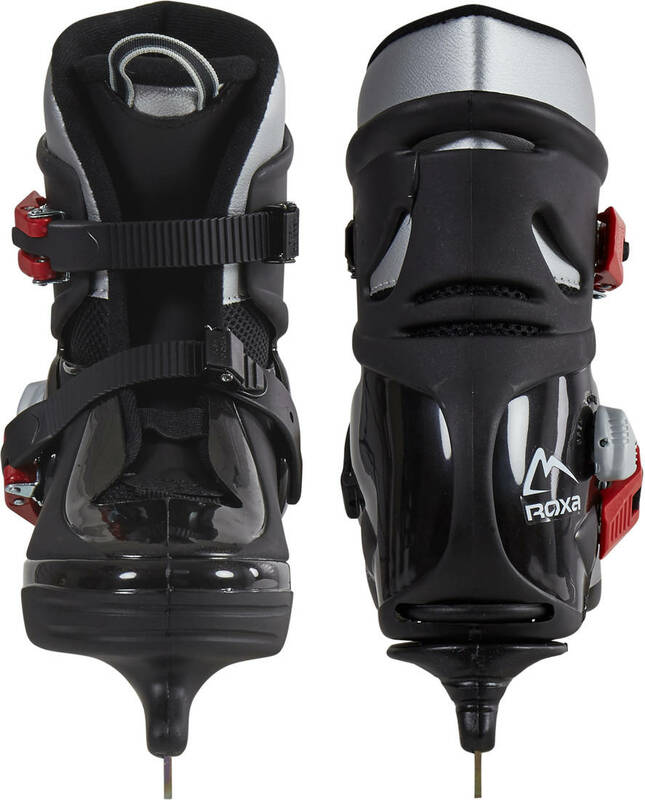 The outer shell is an adjustable hard-boot made of S.E.B.S plastic with ventilation holes. 2 micro click buckles for easy closure. Colour matt and clear black with a hint of a metallic look. Long lifespan due to size adjustability, grows up to 5 sizes.